PVC ID cards make an organization appear sophisticated. Enhanced safety to the premises is achieved by adding security features. 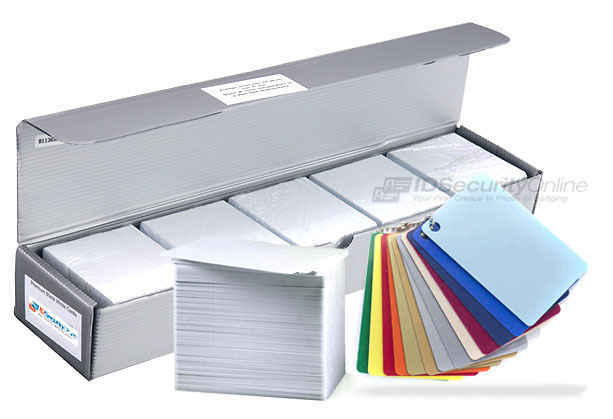 ID Security Online can print the PVC cards for a client or provide blank cards and PVC card printers that an organization can use to minimize the cost and print on-site. PVC cards come in a variety of colours, thicknesses, and sizes. 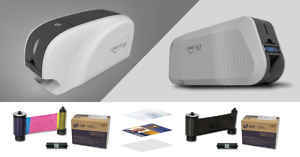 They are available with an adhesive back or magnetic stripe. PVC ID cards feature room for barcodes, text, and photos. Adding a magnetic stripe allows processing payments. They are perfect for bookstores, cafeterias, and more. The cards meet strict ISO thickness standards. 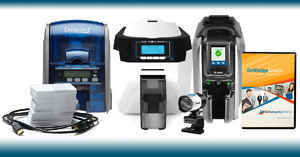 They can be used with thermal transfer or direct image printers. 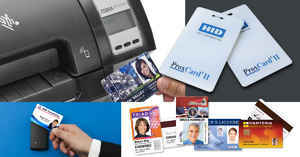 ICLASS smart cards are available in both standard PVC card construction and composite Polyester/PVC construction. The latter is used for demanding environments. Smart chip applications can be added to single ISO standard thickness cards. 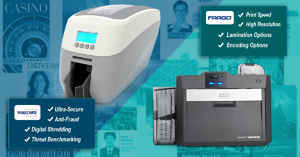 Security ID Online is a source of high-quality custom pre-printing. The best way to consistently achieve minute graphics and detailed logos is withID cards that are pre-printed. Advanced state-of-the-art equipment is used for high-quality colours, texts, and graphics. Further personalization to the custom pre-printed cards such as cardholder photos and data can be done on desktop ID card printers in-house. 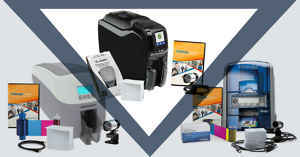 Instead of graphics being printed directly on the surface of ID cards, the graphics of pre-printed ID cards are layered into the cards during the process of manufacturing. The process creates graphics cards that are of high-quality and last longer, which means money is saved on printing materials. The goal for ID Security Online is to make issuing new cards for an organization easy. They work with newly integrated and existing programs in the facility. The front and back packaging can be done in plain white with a gloss finish or with custom artwork or a magnetic stripe. A proximity card is a smart card with a wireless connection to a reader. The transmission range is only a few inches. The reader quickly passes it. The composite PVC construction works well in demanding wear-and-tear environments. Proximity cards are an access control form that uses a contactless wave over a reader to communicate. They are becoming prominent in business firms, government offices, and hospitals because they make access to sensitive and restricted areas nearly impossible to intruders. They are excellent to manage employee attendance and payroll.